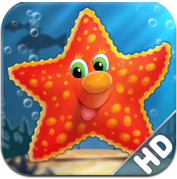 Puzzles n Coloring Sea Life is a very enticing app for kids! Bright and vivid colors and sea life. You have 16 puzzles to choose from and twelve pages to color. You can erase the colors and start over! Very uplifting background music keeps your kids going! This app is presented to us by Better World and works on the iPhone and iPad. Easy, Medium and Hard Levels to work with! 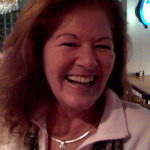 Color to your hearts content and erase and start again! What was the initial inspiration for? We draw our inspiration from the children themselves. We are all committed parents, either directly or with our nephews and nieces, and we pay great attention to our own younger ones. We are constantly searching for ways to make it better for them. Part of it is probably also the child in us, who never really went to sleep and is calling for more. We keep reinventing what could have been for us and what therefore should be for our younger ones. For instance all kids are keen on drawing, colouring or painting, and on dealing with pictures of all kinds. We try to combine that in innovative ways, and make it an addictive experience for them, of course only in a respectful way. Of course iPhone and iPad by themselves are a source of inspiration, because they enable so many things that were almost unthinkable before. One key element is also to make it easiest for parents. Have you ever forced your kids to collect puzzle pieces scattered on the floor, making sure that no one is missing ? Have ever washed your kids clothes after a painting job, or admired the frescoes on the walls of the living room ? We just make it easier and better. The frescoes on the iPad can be emailed to parents and friends, or printed for all to see. Atmosphere is everything, and it is a holistic experience, where everything matters : graphics, sounds, interactivity, sharing, intuitive handling, ease of use where everything needed is there at a tap of the finger. If we propose for instance puzzles or drawings about sea life, we want our kids to believe they are underwater and living through this experience themselves. Many details add subconsciously to the experience, and they are all essential. Our developers and reviewers take great care about everything. Besides atmosphere, we want our learning apps to be addictive, and to strike a balance between being easy and self explanatory from the very beginning, so that kids will want to start and to do more, and they actually immerse themselves in it, and are still demanding, so that the learning experience will be as comprehensive as can be. We would certainly encourage your readers to be more and more involved with iOS devices. These devices really create an unlimited potential for young ones and not-so-young, to learn and keep learning. The educational experience is always pleasant and effective. Expect much more from AmayaSoft in 2012, whether it is about early learning, drawing, or musical or other artistic education. We will take beginners in their cradle, and move on with them till they are recognized artists.